Take away the hassle of organising and storing your personal items with the set of three London Collection storage trunks with iconic London images and the Union Jack. The patriotic style of the three trunks are aesthetically pleasing while bringing a practical solution to keeping your home clutter free. 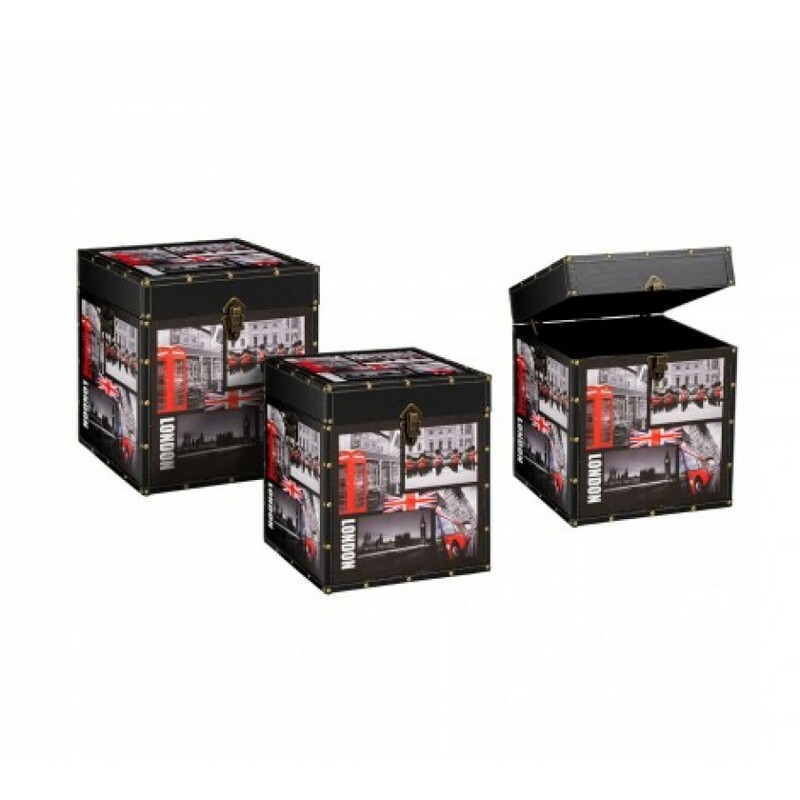 The three boxes come in small, medium and large allowing you to safely store your personal items. Made from durable and sturdy MDF with a fabric inner, the trunks are enhanced with metal clasps, brass effect riveted edges and metal carrying handles. Leather effect straps covers the edges of the storage boxes making them more robust from daily knocks while adding to its regal appearance. The stylish London Collection trunks will make a functional and fashionable storage solution you can be proud of.